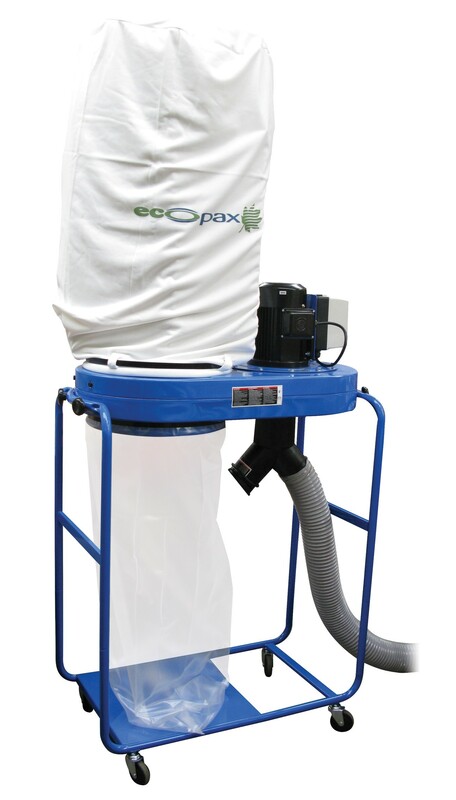 The Ecopax 1 Phase Dust Extractor is designed to be used in conjunction with 1 Phase Ecopax Cardboard Shredders. The dust extractor features a 3-metre connection hose that is easily connected to other machinery situated some distance away. It is perfect for reducing and collecting airborne dust so that it is not inhaled or left to settle on the floor. This is necessary for maintaining a working environment that adheres to health and safety regulations. The Ecopax dust extractor is of the highest standards for a reliable and long lasting finish.